Over the weekend, in a dim corner of Washington D.C. and in a quiet recess of the Pentagon, a national security tragedy occurred with little notice or fanfare. On Sept. 30, the Congressional Commission to Assess the Threat of Electromagnetic Pulse to the United States of America (or EMP Commission) was shut down indefinitely. The America-hating anti-nuclear Left that thrives in our universities never complains much about Russian, Chinese, or North Korean nuclear weapons. We never seem to hear from them when, for example, North Korea tests an H-Bomb, China deploys a new ICBM, or Russia plans to deploy a 100 megaton warhead on a robot submarine to drown the U.S. coasts in a nuclear tsunami. Now that the United States is planning to modernize its nuclear deterrent after decades of neglect, the tenured idiots in our universities who would ban Columbus Day along with The Bomb are all aghast. Professor Eden’s “City on Fire” article (from her book "The Whole World on Fire" from Cornell University Press) argues U.S. military planners are so focused on nuclear blast effects that they ignore the fact that nuclear weapons also cause fires that can become catastrophic firestorms incinerating whole cities. Eden’s false argument is that U.S. military planners are ignorant of the destructive power of nuclear weapons, understood so much better in academia, and always want more nuclear weapons than are necessary. Eden seems unaware that U.S. nuclear targeting does not aim at mass killing of civilians and destruction of cities. U.S. nuclear war plans aim at destroying enemy military forces and their command and control, usually located in underground bunkers and missile silos impervious to fire. Blasting an enemy ICBM or launch control center is the most assured way of saving a U.S. city from nuclear destruction. Postal’s latest contribution to U.S. national security is an article falsely claiming the U.S. doesn’t need strategic forces modernization because the Pentagon sneakily armed our missiles with a new fuse to give the United States a first strike capability against Russia. If paranoid Russia, China, or North Korea launch a nuclear first strike to “save” themselves from the evil U.S., thank Professor Theodore Postal. Like almost everything published by the anti-nuclear Left, the basic premise of Eden’s article is untrue. 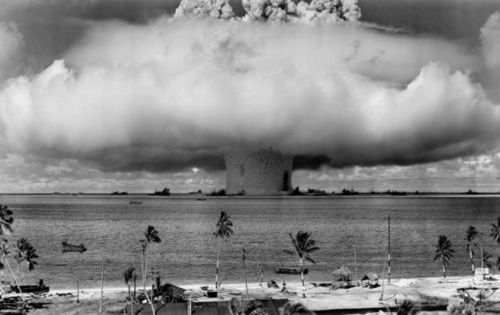 U.S. military planners have long understood thermal and other effects from nuclear weapons. Anti-nuclear activists and the America-hating Left have a long history of concocting false theories that cast the U.S. military in the role of uninformed idiots who are not smart enough to understand the “real” danger of nuclear weapons. Their “solution” is always some variant of the U.S. “leading the way” toward a world without nuclear weapons, which amounts to U.S. unilateral nuclear disarmament. These people never complained about the USSR’s huge inventory of nuclear weapons. They are unalarmed now by Russia’s enormous advantage in overall numbers of tactical and strategic nuclear weapons (an at least 3-to-1 advantage over the U.S.). 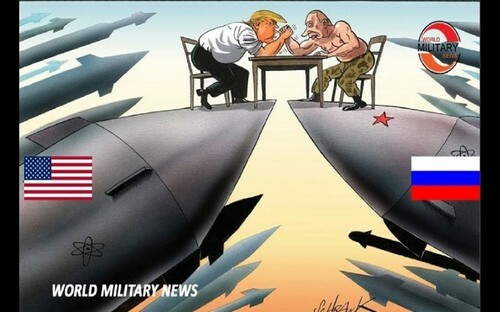 All their angst is aimed at U.S. nuclear weapons, not at Moscow’s belief that nuclear victory is possible, that they can win a nuclear war against NATO, as recently practiced in Russia’s enormous ZAPAD-17 military exercise, simulating a nuclear war with NATO, held in September. Does Professor Eden even know that NATO has merely 180 obsolete nuclear gravity bombs to deter 5,000-20,000 Russian tactical nuclear weapons? Splendid time for the U.S. and NATO to further reduce our antiquated, decades-old nuclear stockpile, or ban U.S. nuclear weapons altogether, to set a good example for the Russians! Obama already tried that. The more we reduce our nuclear weapons, the more Russia, China, and North Korea build nuclear weapons seeking a war-winning advantage. Those who hate the present U.S. stockpile of nuclear weapons so much and live more in fear of a “world on fire” or of “nuclear winter” than Russia, China, North Korea, or ISIS, should support U.S. nuclear modernization to build Third Generation nuclear weapons that utilize EMP, X-rays, neutron radiation and other effects, not blast and thermal effects. Or how about supporting the Strategic Defense Initiative and space-based defenses to render nuclear missiles technologically obsolete? But no! 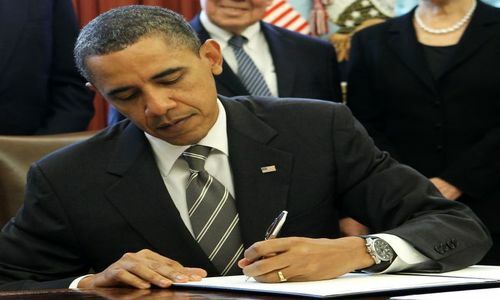 Only U.S. nuclear disarmament that leaves America defenseless against its enemies will do. Eden should look at photos of European and Japanese cities after World War II that were leveled, not by nuclear weapons, but by conventional bombs. She does not seem to understand that the consequences of non-nuclear conventional war are very deadly too. Now, look at photos of Berlin, Tokyo, Dresden, London and other cities today, cities that rose from the ashes of World War II. This recovery was only possible because of U.S. nuclear weapons that have deterred World War III — so far. Story originally published here. Peter Vincent Pry is executive director of the Task Force on National and Homeland Security. He served in the Congressional EMP Commission, the Congressional Strategic Posture Commission, the House Armed Services Committee, and the CIA. He is author of "Blackout Wars." For more of his reports, Go Here Now.